Kit preview of Northstar's huge Enterprise. Scale: Approximately 1/261. 46"/117cm in length. Parts: 26 total: 9 fiberglass laminated and 17 cast epoxy resin. Instructions: 17 page photocopied booklet (single sided), two additional loose pages. 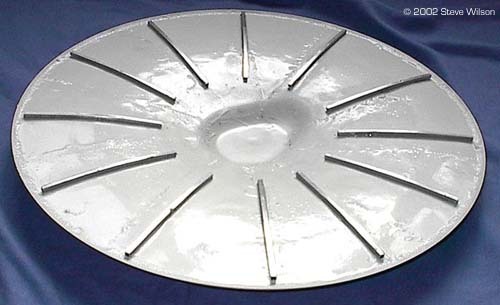 Includes cross-sectional exploded view, aztec pattern for both upper and lower saucer. Decals: Water slide with markings specific to both the original refit or the "Enterprise - A"
Molding Quality: 10 - Extremely precise. Detail: 9 - Usually crisp, but somewhat soft in places. Accuracy: 9 - Few discrepancies detected or even worth mentioning. MSRP: $1600 USD (~€ 1774 EUR) available exclusively from BeBoer Hulls. Production limited to demand. Considering the amount of hand craftsmanship put into each kit, a fair value. There is a waiting list. Overall Rating: 9.5+ - An enormous kit that can easily be built as is by a modeler with intermediate level experience. The more experienced modeler should be able to create a replica suitable for limited motion picture work. Just mentioning "The North Star" evokes images of naval navigation. And of graceful naval vessels: "All I ask is a tall ship and a star to steer her by." Well, the first Enterprise may not truly have been a tall ship, but she was most certainly navigated by Polaris, the North Star. 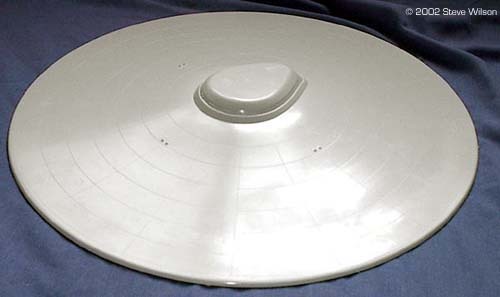 So, whether intended or not, the "North Star" model, produced by DeBoer Hulls, has a moniker that is an extremely fitting name when used in conjunction with the spacecraft we've all come to know and love as the starship USS Enterprise, NCC-1701. ^ Photon torpedo tubes Ever since 1980, with the release of Star Trek, The Motion Picture, I've wanted to complete a "smoothie" with full lighting and completely corrected, accurate details. 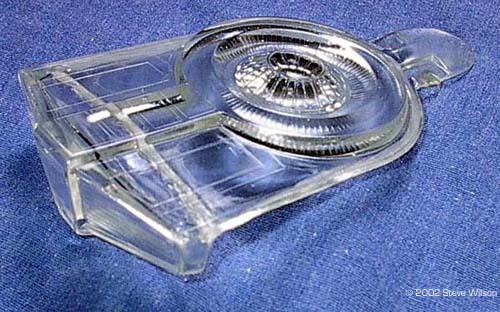 The epitome of a model of the starship Enterprise. For the uneducated or otherwise uninitiated, "smoothie" refers to the first issue of AMT/ERTL's "refit" Enterprise, issued around the same time as the film. It's hull was completely smooth, appropriate for the scale of the model. 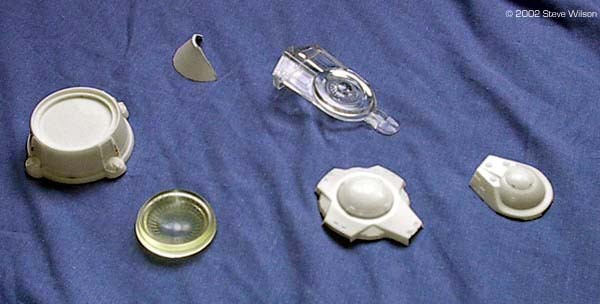 Subsequent reissues of the kit. in step with subsequent Star Trek movies, all had a hideous, inaccurate and very heavy handed panel texture molded into the hull. The sort of buildup that would be required to correct both the hull surface and the numerous detail inaccuracies is an extremely daunting task, and, I'm sorry to say, one I gave up on as many times as I started. I was really intrigued, though, a few years ago when I heard rumor of this "Northstar" kit thing. And I heard it here, but I couldn't seem to find it. Time passed, and I finally ran across Dennis DeBoer's (DeBoer Hulls) website. The link to it was probably here all along! At last, the definitive, final answer to the "smoothie." Despite it's size and the fact that it's essentially a resin kit, it appears to be a far easier kit to build and accurize than the old AMT kit, in my opinion. Or it will be..... I can't wait to get started. For any devoted Star Trek fan, getting this model would probably be the modeling experience of a lifetime. I placed my order for one back in December of 2001. I went on a waiting list that lasted almost four months. Then the kit took over a week to get from South Dakota to Plaistow, New Hampshire. It was, indeed, a long time, getting from there to here! If this kit is built right, I believe it could be the most impressive tribute possible for a fictional vessel that is emblematic of the best that mankind has to offer. (Unless one builds it from scratch. Good luck, Cobywan! ) That's the potential of what I saw when I first saw the few images of this kit that are available on the DeBoer Hulls website. That potential is also what I saw when the kit arrived in my home a little under a week ago. All that said, on to the gory details. It's big. Very big. That's the first thing that hits you as you probe into the depths of the huge box from Springfield, South Dakota. The box was roughly two feet by two feet by eight inches, and the model it contained was very, very well packed. The primary hull is 20 5/8" in diameter, the secondary hull 14 5/8" and the warp nacelles 22." Assembled length is stated to be 46." Yikes! 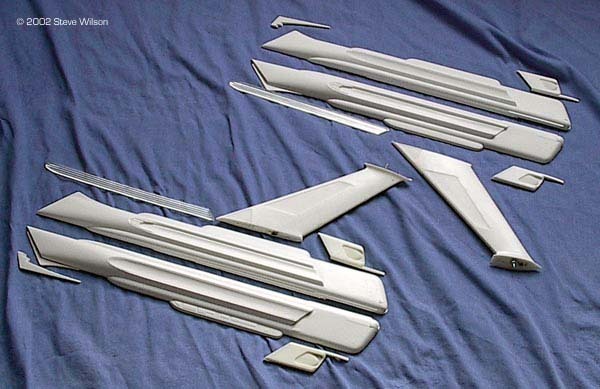 In many respects, the unassembled kit reminds one of the AMT "smoothie" Enterprise, only on steroids. 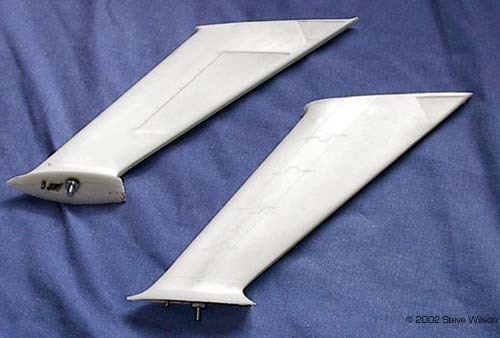 With the exception of a few detail parts, the whole kit is cast in lightweight white epoxy resin, with fiberglass laminated into the larger pieces. 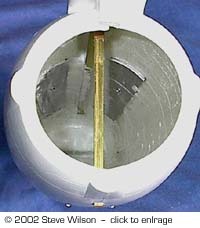 The primary and secondary hulls, with their interconnecting dorsal, are further reinforced with brass and aluminum as shown in the "inside" photos. The thing reeks of "sturdy." What surprised me is that all the parts fit together very well. The dorsal mates to the primary hull cleanly, as do the warp pylons to the secondary hull and the warp nacelles. There are machine nuts and bolts to attach everything to the secondary hull. Sure, there are gaps, and I expected some considering the size of the kit and the fact that it's not injection molded. But they are manageable. Dennis DeBoer has to put quite a good deal of extra effort into the kit to get it to this level of quality, since I'm sure it doesn't just pop out of the mold this nice! In fact, the secondary hull comes fully assembled, and the nut and bolt attachments are already done for you - no need for further reinforcement. Major kudos for production values. The only adverse comments I can make come from a slight misalignment in the internal armature, and the pins for the warp pylons don't line up perfectly. Both will be invisible when construction is complete. This is my first resin kit, and I was dreading the infamous pinholes. Couldn't find any. This was another pleasant surprise. 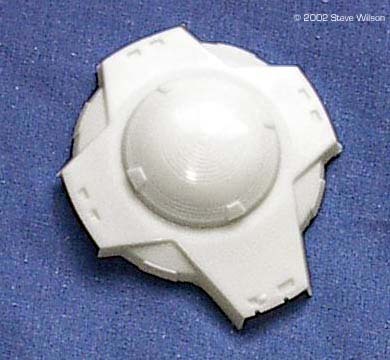 The only place I could find a bit of soft casting was the lower sensor dome. A great deal of detail is molded in. All panel lines are recessed, and there's a ton of them. They are very subtle, and from the pictures I've examined in my research, quite accurate. The deflector grid is recessed as well, and it's depth is correct. There are recessed lines for the portholes, and there's ton of those too! Get out that 3/32" drill bit and get ready for a real good time (8-P). The grille work on the warp pylons and warp nacelle vents is present and very clean. Where the kit design required it, there were appropriate detail parts, and all were very nicely cast. The photon torpedo tubes' detail piece is a work of art. Okay, so it's big, and it's well made. But how accurate is it? Well, in the interest of fair and honest reporting, it's not absolutely perfect. It is, however, a heckuva lot more accurate than the AMT / ERTL kit can ever pretend to be. But, since you asked, and since I'm extremely nit picky myself in this area, I'll share with you what I've found so far, starting at the top. The bridge is good, but the three bumps molded into the top of the aft section are all the same. The center, aftmost bump is supposed to be a navigation light, and should have been diffentiated, even if only slightly. Truthfully, a small nit, one easy to replace with an appropriately sized LED. That was in "the master plan" anyway. The hull blister containing decks 2 and 3 under the bridge is okay, but the wrap-around depression doesn't seem quite right. It's edges are a bit soft, not completely even and just a smidgen narrow. 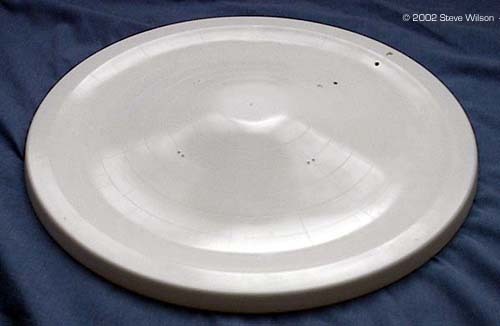 This is probably a mold making concession, as one cannot have "negative" contours when casting parts, that is, parts with an "overhang" that would prevent easy, clean removal of the mold. 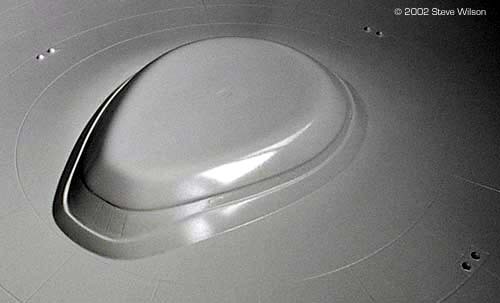 The saucer hull itself is right on. 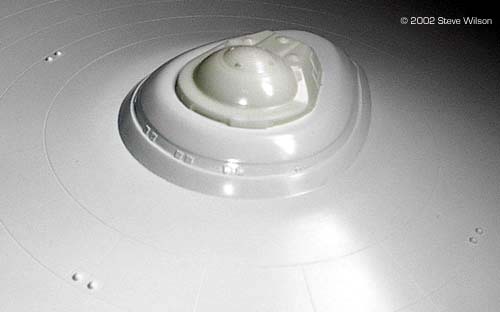 The lower navigation dome is very close, but the two square depressions on each of the four "prongs" seem to me to be too small. The impulse drive is beautiful. 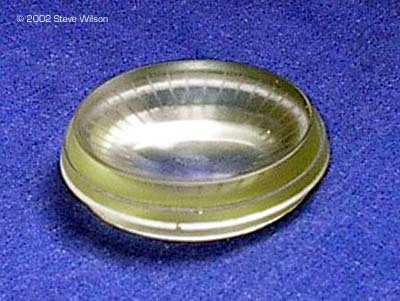 The ribs on the deflection crystal appear to be a bit too pronounced, making the dome underneath appear misshaped. The surrounding grill detail is nice, though. The impulse exhaust ports fall down a bit, as the only detail provided are scribe lines to define where to paint in a horizontal grid. This needs a little help, as I feel there should be more pronounced detail molded in here. 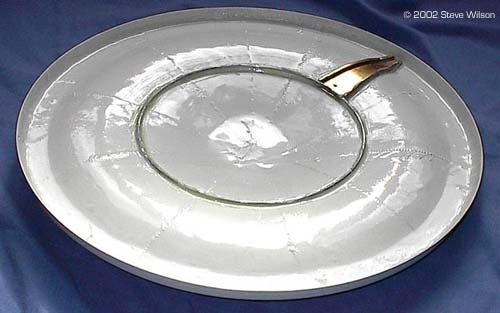 Still, the part is very nicely cast in clear resin. 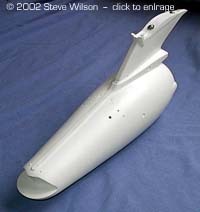 While the dorsal is very sturdy, and mates to the secondary hull with only the slightest gap, the angular vent/grille structure that sweeps along the mate line has a small error in the angle of it's aft most portion where it merges with the impulse drive housing. Also, it may be that the dorsal itself is too narrow widthwise. My early estimate is that it needs about .020 thick plastic laminated on either side to flesh it out. The secondary hull appears to be shaped correctly. There are two areas that need help, though. 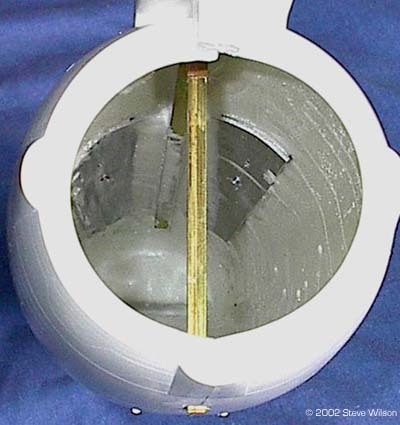 The main deflector housing does not mate properly to the secondary hull proper. There is too much of a "reveal" where the two meet. The four vents on the upper surface of the hull between the warp pylons and the dorsal appear to be too small and inaccurately placed. No complaints about the warp pylons. These are very heavily cast, and with a square brass tube going down the middle, they will make lighting the warp drive easy. Since they individually weigh almost as much as the two halves of the warp nacelles they must support, it appears they will not sag under load either. Rock solid. There are some extra greeblies molded in towards the front of the warp nacelles that appear to be a bit strong. 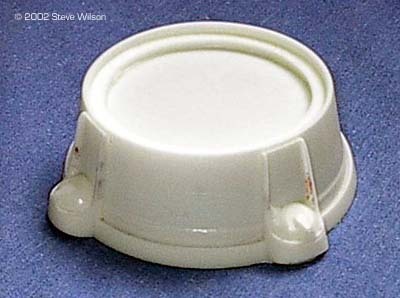 The same can be said of surface panels molded onto the pylon mounts. The warp intakes look a bit over recessed on top, but that may be my imagination. The inner warp grilles that are supposed to illuminate with that well known blue glow are a bit of an issue. 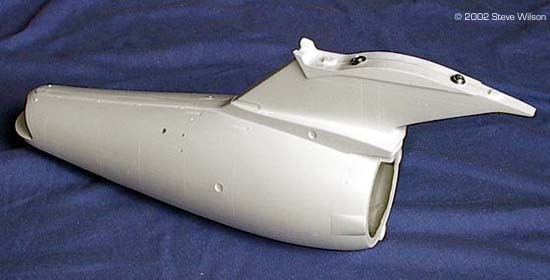 They are correct in appearance, but the fact that the clear portion does not go all the way to the aft most part of the "trough" could prove to be a construction nightmare, since there is a bit of a gap where the clear grille work meets the grille work cast into the inside nacelle half. The shape of the nacelles looks correct. Also, they are the right length, where the AMT/ERTL engines were too short. Okay, so much for the accuracy niggles. These are all small things, though, and are definitely not show stoppers. Ignored, they would not detract from a skillfully made model. Corrections should not be difficult. In Search of The Immortal Will (or, Shakespeare is missing in action). First, read the instructions for vital details like the appropriate width between the tops of the warp pylons before attaching the nacelles. Then evaluate the rest of the various steps and suggestions relative to the model you wish to have when you're finished. While Mr. DeBoer tried hard to be conversational and informative, much use is made of unique spelling variations on common words, and the descriptions are interesting as well. But he does get his point across, and that's the important thing. Since I did not purchase this kit for the literary experience, any English composition deficiencies can be overlooked. They do serve to remind the builder of the unique nature of both the kit and it's creator, and adds a "common man" touch that one doesn't find in the sterility of a mass-produced plastic model kit. At 17 pages, including source listings, the main booklet is, at the very least, a sincere effort. Use it as a baseline. One omission that I hope to help resolve involves early construction. The builder is informed that a cradle or jig needs to be built to assemble the model, but the instruction set provides no plans for them. I mentioned building the cradle in passing to Dennis, and he did suggest that the height of the warp nacelle cradles be made adjustable. I will provide details in an update to this article when I get to that point. Suffice it to say that I don't want to cloud a review of what is clearly an excellent kit by being overly picky about the instruction booklet. It is definitely a resource that should be reviewed for content, but is not necessarily the final word on the best way to proceed with assembly. Bottom line: If you end up becoming the proud owner of one of these beauties, do your own research. Study the parts. Test fit them. Build based on your experience. Use Starship Modeler and the multitude of other excellent references for the subject matter as your guide. Evolve your own instructions. In all fairness, that's probably what most of us would do anyway! One last word on construction. Lights. Lot's of them, preferably of the LED variety, with a bit of lightsheet thrown in for the warp drive. An Enterprise of this size screams out for the best lighting imaginable. Accommodating that will take easily half of the time it takes to realize the completed miniature. But with that extra effort, and the excellence already molded into this kit by Dennis DeBoer, one will have something truly special when finally finished. I will be sure to include complete details in this rather heady area as well in an article update "from the bench." The price of admission is a cool $1645.00, US, including shipping. If I may be so bold, you're getting what you pay for when you plunk down that much cash for a Northstar Enterprise. When compared to the cost of some other "toys" these days, that price tag is not that staggering. Okay, guys my age (gaaa - 47 next month!) probably remember when you could buy a pretty decent motorcycle for that kind of money, or these days, a relatively decent computer or mountain bike. None of which holds value, or even appreciates. On the other hand, aside from the tremendous sense of satisfaction and gratification gained from the construction experience, a model like this can easily gain in value once properly completed. On the third hand (the gripping hand for you Niven fans out there! ), it is also rare - at this point only something to 20 to 30 Northstar Enterprises exist in the whole world. To be sure, it's not something one would do casually, and certainly not often. One just has to measure one's priorities, inventory one's dreams, and then make a commitment to do something special. Very special. I've said it before in the Starship Modeler forums: Dennis DeBoer is a heckuva nice guy and a true gentleman. He genuinely cares about his customers, and has offered, more than once, to work out problems out with my kit should I find any. (Can't). When I requested he provide the clear parts without the standard blue tint, he accommodated me without comment. I mentioned this when I ordered the kit, and four months later, that was how the parts arrived. He's got a wide variety of ways to make this kit a possibility for as many as desire it, including a number of different layaway plans. He has the power. After all, DeBoer Hulls is just Dennis with some assistance from the Missus. It's all he does for a living. 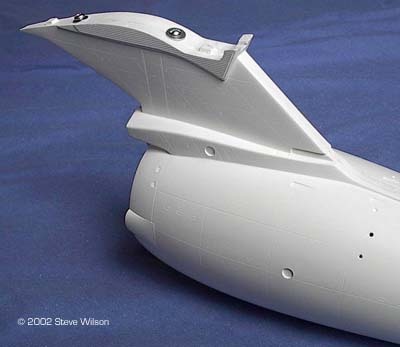 In addition to the Big E, he also produces a model of the USS Reliant, the Seaview from Voyage to the Bottom of the Sea, and several other Real World (tm) submarine hulls. You might call him Captain Fiberglass. Dennis started DeBoer Hulls back in 1987, and his first hull was the USS Sculpin, one of the first fast attack nuclear submarines of the Skipjack class. That was followed in '88 by the USNRS Seaview from Voyage to the Bottom of the Sea. Coming in at 80", this kit was no slouch. It was intended for, and has been built as a fully remote control sub. 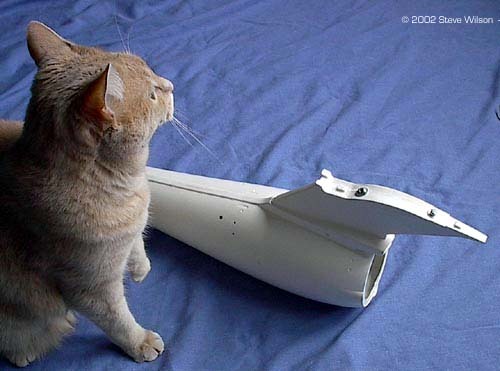 In 1995, Dennis created Northstar Models to separate his sci-fi spaceship models from DeBoer Hulls. The first kit was the Enterprise. It took two years to build the masters for this monster, with close attention paid to the details, however small. 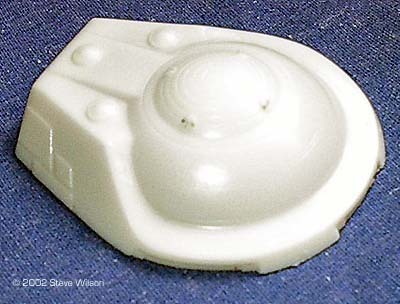 He had many different references, including the AMT kit with the enormous wealth of knowledge provided by many modelers over the years, much of which defined the many flaws in the only injection molded kit available of the famous starship. Even with my aforementioned niggly gripes, the result was probably the closest anyone could come to a perfect bullseye. 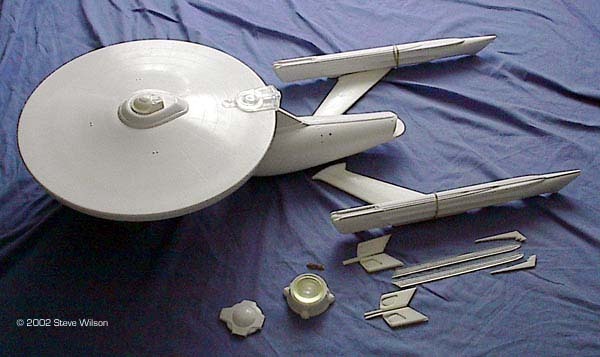 To date, there have been approximately 25 Enterprise kits produced - Dennis says between 20 and 30 sounds about right. Over time, the Northstar nameplate became more closely affiliated with DeBoer hulls, and if you peruse the website, you won't notice much differentiation. I originally thought that someone else had brought out the Big E, and Dennis had purchased the name, the molds and the masters. But in fact it was simply Dennis doing a little diversification, and there's only one cook in his kitchen. Boggles my mind. 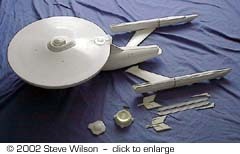 The Enterprise kit takes two full weeks to create from initial mold preparation to putting the last tape on the shipping box. After everything is laid up and removed from the molds, each piece is hand trimmed to very nearly final form. Dennis solders together the brass armature and assembles it within the secondary hull for the modeler. This isn't a showstopper in terms of lighting and completing the kit, and for those who might be gluttons for punishment, perhaps this step could be omitted for those wanting easier access to the inside of the hull halves. But you'd have to speak to Mr. DeBoer about that! Within the coming year, there are plans to finalize the USS Reliant, the next kit in line and one that has already been featured as a coming attraction on Starship Modeler. Dennis has one just about done, and surprisingly enough, this kit has even more detail than the Enterprise. He's putting in the extra time to get it right. Given my personal experience, I have no doubt that Reliant lovers everywhere will be completely pleased. When you get a chance, a visit to BeBoer Hulls is worth your time. I was taught, at a very early age in the sixties, that Star Trek's starship Enterprise was a respected vessel, an indefatigable foe and a noble friend. Her name was synonymous with excellence and many good, positive values. We'd seen her saved from the deep space version of a watery grave many, many times; and we saw her save her crew as often. It was always a relief. One gets attached to that sort of friend. But rather than getting all dopey about an emotional attachment for this starship, let me just conclude by stating that this kit measures up to those sorts of memories and lessons. And the party has just begun. If you truly love the Big E, this is the kit to get. Many thanks to Steve's wallet for providing the review sample. Manufacturers and retailers, interested in getting your wares reviewed and publicized on a site averaging 2000+ readers a day? Contact us! This page copyright © 2002 Starship Modeler. First posted on 27 April 2002. Last updated on 19 October 2004.